My collection at the moment is so full of sample sizes, it feels really good to finish up a lot of them! I'm starting to think that my 2018 Project Pan should just focus on all of the samples cluttering up my drawers. This month I've been pretty successful with my empties. I wore makeup almost every day and didn't buy a lot of new items, and I finished a lot of tools and skincare/haircare as well! As always, I've included little mini-reviews of each product I used and whether or not they are cruelty-free according to my research. I got this for Christmas last year and I really enjoyed it! Warm Vanilla Sugar is a classic scent from B&BW and it's one of my favorites. I wouldn't repurchase it right now because I have a few other body washes to go through, but maybe I would after that. Tocca has become one of my favorite fragrance companies, and last year I found a set of three travel-size body scrubs. This is the second one that I've finished and I still love the formula, but I didn't really like this scent. The scrub is gritty enough to work well on the body but gentle enough to be used on the arms, neck, and chest area, which is where I use it. Giulietta is a pink tulip and green apple scent but I only get the notes of the tulip, so it's too floral for me. I would love to repurchase a set like this, it's such a great deal! After finishing my beloved (and not cruelty-free) Redken shampoo I was on the hunt for a cruelty-free alternative. I have pretty dry hair so I was looking for something that wouldn't strip my hair but would cleanse it well. This works fairly well for that purpose, but I had to use so much of it to clean my hair properly that I went through this bottle in just a few months. It's too expensive for me to repurchase it that frequently, so I've replaced it with the Not Your Mother's Beach Babe shampoo. I used this brush about every day and it broke after about a year. It was only a dollar, so I'm not too disappointed, and I have a few similar brushes in my collection. Influenster sent this to be last winter and at first I really liked it, but it's starting to dry out now and I can't get a good line with it anymore. The curve thing is just a gimmick, I don't think it helps the liner at all. The tip is very firm and it doesn't bend like a usual felt-tip liner. I definitely recommend the Nyx Epic Ink liner more than this one but it was a good product overall. It seems like I just finished my first Miracle Complexion sponge, but this got dusty and dirty somehow and I can't seem to clean it properly, so even though it's still useable I wanted to get a new one. Repurchased! In my last Ulta order I got a bunch of samples, including this serum! It lasted a surprisingly long time and gave a very light amount of moisture to my skin. It wasn't especially good or bad for me, and I prefer my Hyaluronic Acid 2% serum from the Ordinary. I got this sample from Sephora and now I can see why everyone raves about it! The felt-tip is so fine that it is really easy to do winged liner or get really close to the lash line. 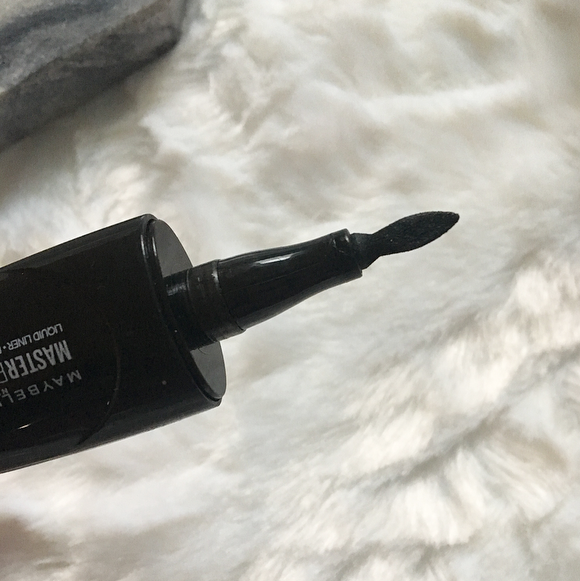 I liked to use this to create a really fine wing and then go over it with my Nyx Epic Ink liner for extra pigmentation. Unfortunately it's started to dry out now, but I'm considering getting the full size the next time I'm at Ulta or Sephora. I put this in my Project Pan and I'm happy to finally be done with it. It's one of those lip balms that seems to sit on the lips and doesn't sink into them. I really had to force myself to use it, and therefore wouldn't repurchase it. 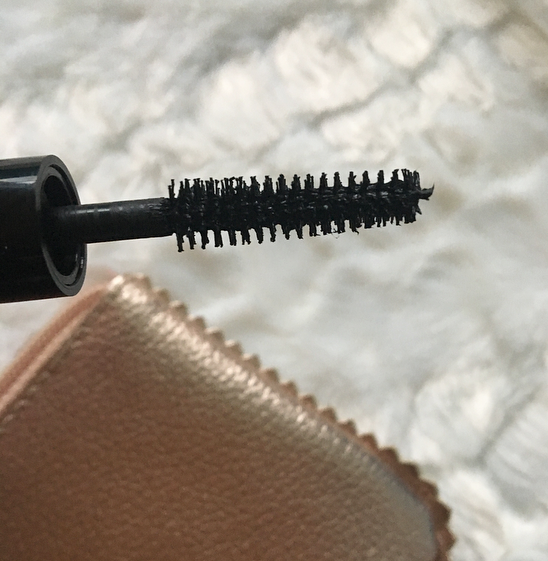 I'm still on the hunt for my new favorite, cruelty-free mascara and this one is definitely a contender! It's a great dupe for theBalm Mad Lash mascara and really lengthens and separates your lashes. I will repurchase it when I need a new mascara, but for now I have a lot of samples to go through. It really surprises me how long these MAC samples last, I've had at least two and it takes me a few months of regular use to finish it, but keep in mind that I don't apply a ton of primer. This one feels nice and moisturizing, but it's not my favorite because it leaves a lot of fine shimmer on the skin. It's easy enough to cover up with a foundation, but I'd rather not have the shimmer at all. I had a bad experience with this liner the first time I ever used it (so much smudging! ), but ever since it has worked well for me. 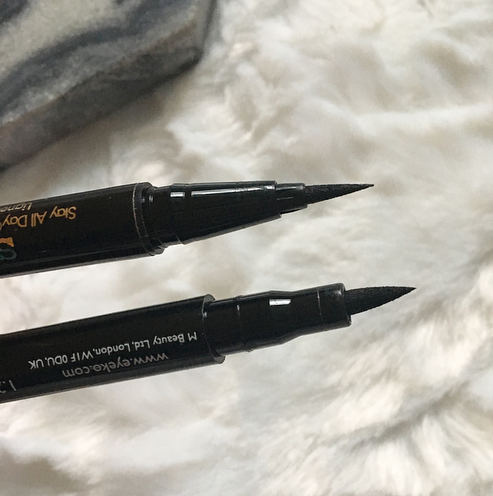 I don't think I would repurchase this liner because again, I love the Nyx Epic Ink liner, but it was good and it works well for a wing. For the same price I could also get the Stila Stay All Day, which I also like more. 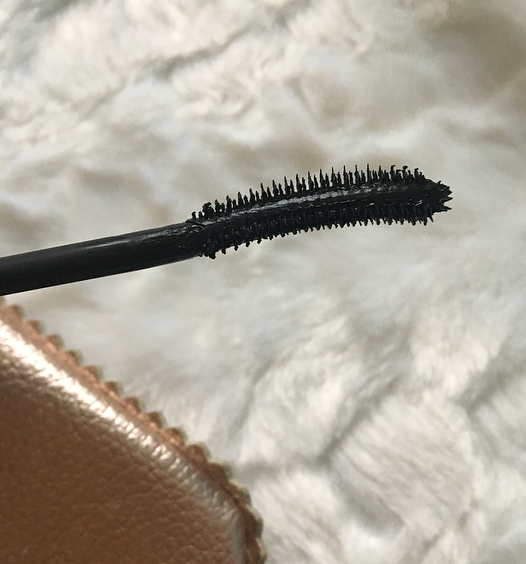 A lot of people have been raving about this mascara lately, and I can definitely see why! I usually don't think high-end mascaras are worth the money, but I really liked this one and I might repurchase it. It isn't clumpy at all but it gives a good amount of volume and length to my lashes. I bought this at TJ Maxx a few months ago and there are things I like about it and things I dislike. Compared to the other micellar waters I've tried, it doesn't remove face makeup very well. However, it is very gentle and doesn't have a scent, which I like. I have replaced it with a micellar water from Dirty Works. Do you also have a ton of makeup samples that you need to use up? 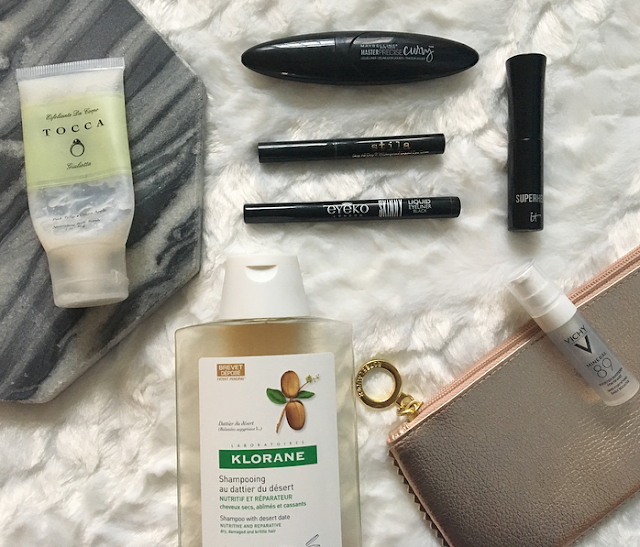 13 comments on "November Empties"
It seems like you go through your stuff well! I am serious about doing a Project Pan for 2018, because I am trying not to buy as much stuff. I've been using a sample of the Stila liner and I really like it. I love the Superhero mascara so much. The eyeliner sounds really good. I've been curious about the Stila eyeliner and the It Cosmetics Superhero mascara. I'll have to pick them up at some point. I am trying so hard to finish some products too and I have so many samples, I try to use one every day!!! I hate when liquid eyeliners dry-out really quickly! Great post!